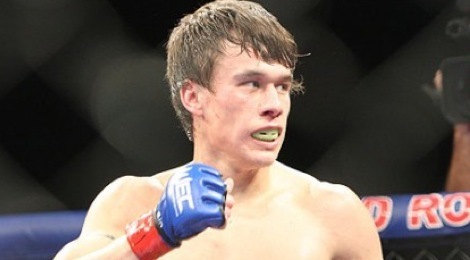 Former WEC bantamweight champion Brian Bowles tested positive for elevated testosterone levels following his UFC 160 loss to George Roop. Nevada State Athletic Commission Executive Director Keith Kizer informed MMAWeekly.com of the situation on Friday. All fighters on the UFC 160 fight card were tested and all returned negative results except for Bowles. “A complaint will be forthcoming,” said Kizer. A penalty has not yet been levied. “I put his license on temporary suspension pending the next Commission hearing. It is not a finding on the merits; these are still allegations,” Kizer told MMAWeekly.com. 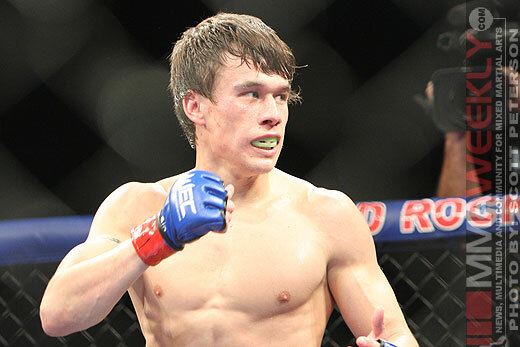 Bowles (10-3) won the bantamweight title by knocking out then-champion Miguel Torres at WEC 42 in Auguest 2009. He lost the title in his first defense to current UFC champion Dominick Cruz on March 6, 2010. UFC 160 took place at the MGM Grand Garden Arena in Las Vegas on May 25.